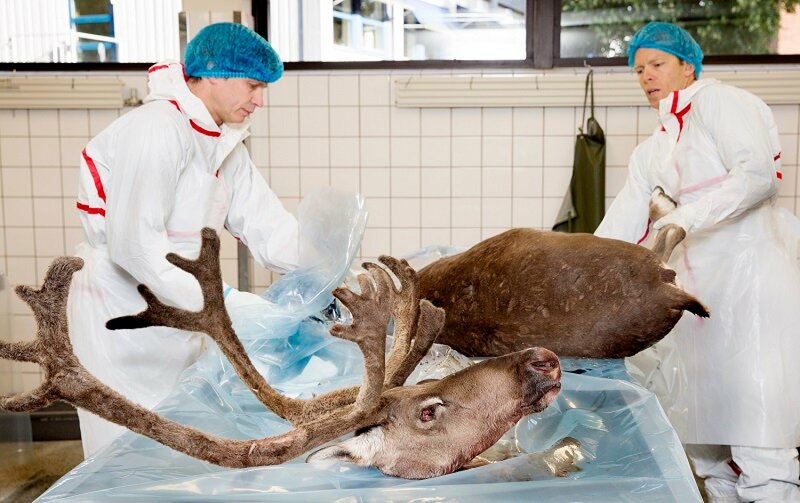 The World Organization for Animal Health (OIE) has designated the Norwegian Veterinary Institute as the third reference laboratory for Chronic Wasting Disease (CWD) in the world, and the first one in Europe. Senior researcher Sylvie Benestad has been designated as the expert, responsible for the new reference laboratory. OIE has previously appointed laboratories in Canada and South Korea. -Being designated as a reference laboratory for OIE is a major professional recognition. This is the result of 20 years of work on prion diseases, says senior researcher Sylvie Benestad who will be responsible for the new reference laboratory. Photo: Agnete Brun. The Norwegian Veterinary Institute (NVI) is a national reference laboratory for the Norwegian Food Safety Authority regarding several diseases and infectious agents. As a reference laboratory worldwide, the institute will collaborate with other countries to confirm diagnoses and exchange knowledge within diagnostics, disease and epidemiology. Sharing of material for diagnostics is also an important task. An international reference function will also create opportunities for academic co-operation worldwide. "Being designated as a reference laboratory for OIE is first and foremost a major professional recognition. This is the result of 20 years' work on prion diseases and shows that Norway has been central in this field, such as in connection to the Nor98 scrapie disease in sheep and goats. I hope that with this we can increase co-operation with North America and South Korea and facilitate the exchange of material and experience. We will also be able to assist other countries in detecting CWD, such as Finland recently did," says Sylvie Benestad. As of today, the NVI has analysed more than 40,500 CWD samples from cervids. 18 cases of CWD have been detected in wild reindeer, 3 in moose and 1 in red deer.